Casa Feliz is a non smoking house. 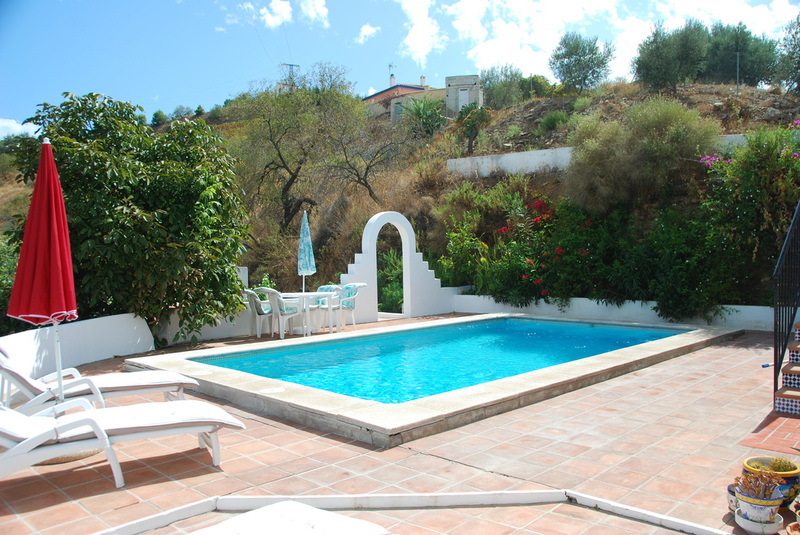 Casa Feliz is a unique spacious and detached house in sunny Andalusia (Spain) with accomodation for up to 7 people. It has a heated private swimming pool. 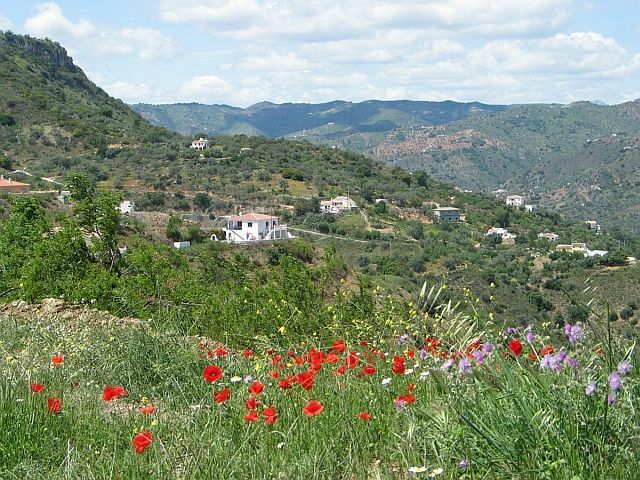 The house is located near the Montes de Malaga natural park and is situated at a quiet location on a short concrete private road. 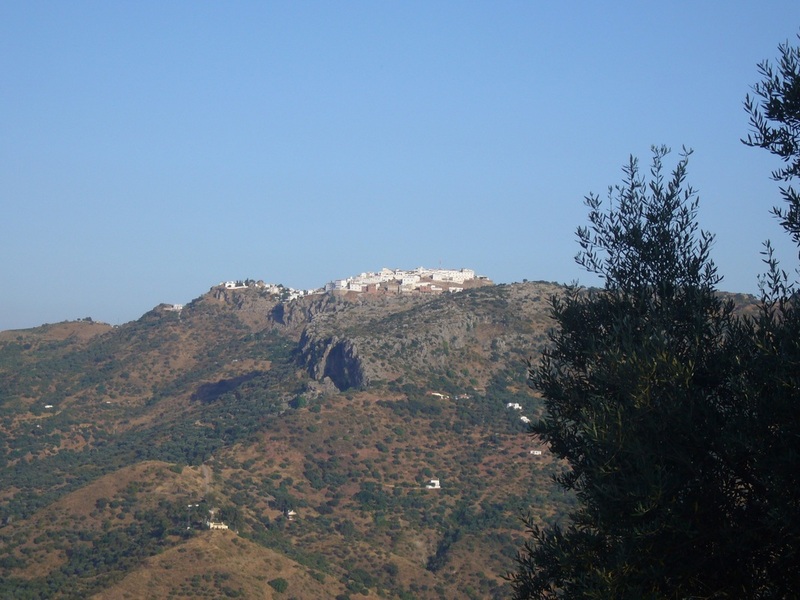 It has a phenomenal view over the Axarquia. 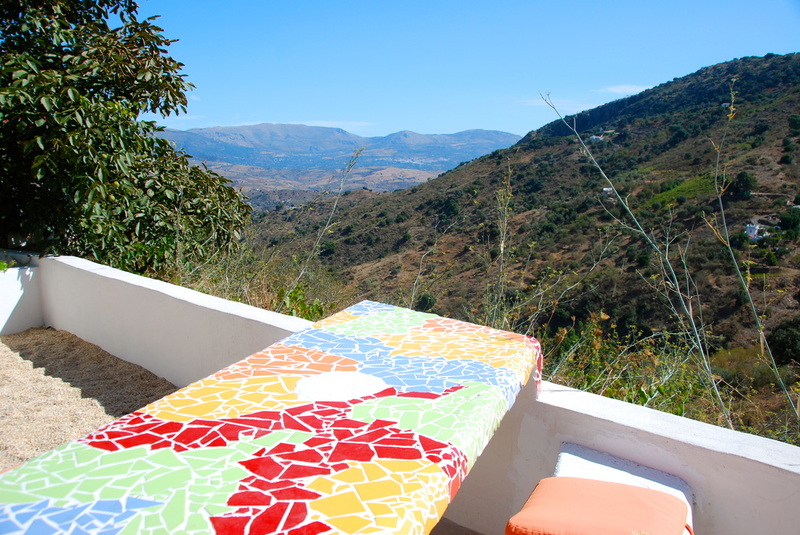 In good weather you can watch up to 30 km far from several terraces! (Granada with the Alhambra, Cordoba with the Mezquita, Seville and Malaga with the Toro d'Oro with the Cathedral and all its natural museums), but also relaxing, reading or "do-nothing"-holidays (there are at least enough films to watch at Casa Feliz!). The TV has a Satellite receiver with many English-speaking channels. The pool is checked and cleaned twice a week. Casa Feliz also has an internet connection. 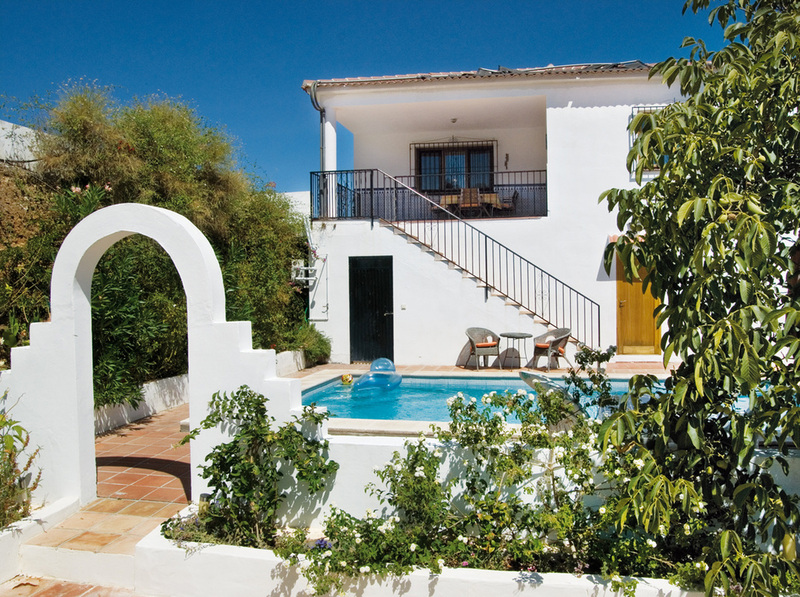 A house in the real Spain, but with West European furnishings and luxury.Casa Féliz is a 3 bedroom house (see pictures on the side of Interior), (one with a double bed, a children's room with a bunk bed and a single bed and a master bedroom). Two bedrooms have a door on the balcony with the beautiful view. The house has a large living room, a kitchen, a bathroom (with a bath, shower, washbasin and toilet) and a separate toilet. 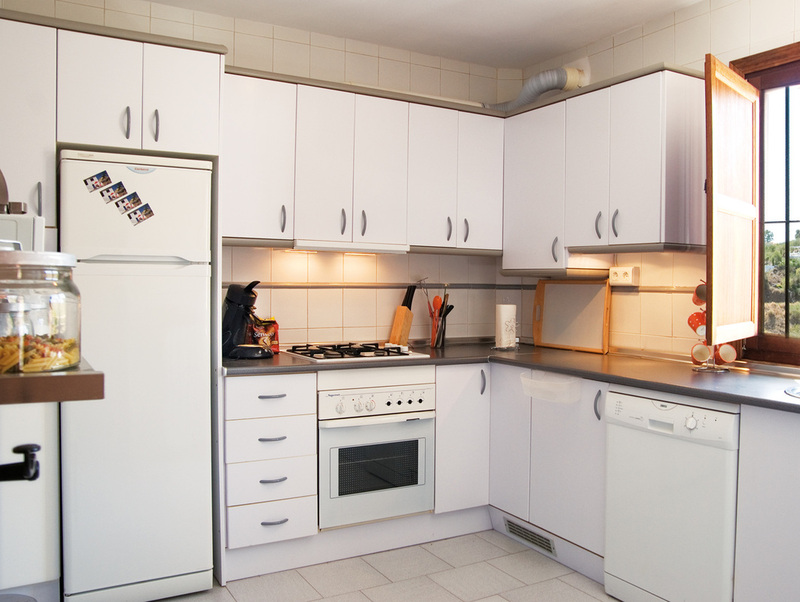 The kitchen is fully equipped with dishwasher, washing machine, coffee machine, kettle, bread baking machine, gas oven, microwave oven, etc. Please look on our other pages with Dutch text for more pictures. The booking form is available on the CONTACT page. You will find a calender at KALENDER (the data in white are still available). Internet (optionel): € 15,- per week. 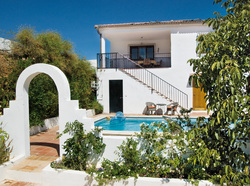 Pets are allowed at Casa Feliz (but not in the swimming pool): € 5,- extra per dog per day. and the description of the route to Casa Fèliz. Our friendly Spanish keyholder will give you the key.For cancellations up to 30 days prior to arrival date you have to pay 35% of the rent. Upon cancellation up to 7 days before arrival 90%. Bedding, kitchen towels and bath towels for abandoned the you number of guests in the apartment. guests (for example friends of yours) arrive, you should tell us prior to arrival. 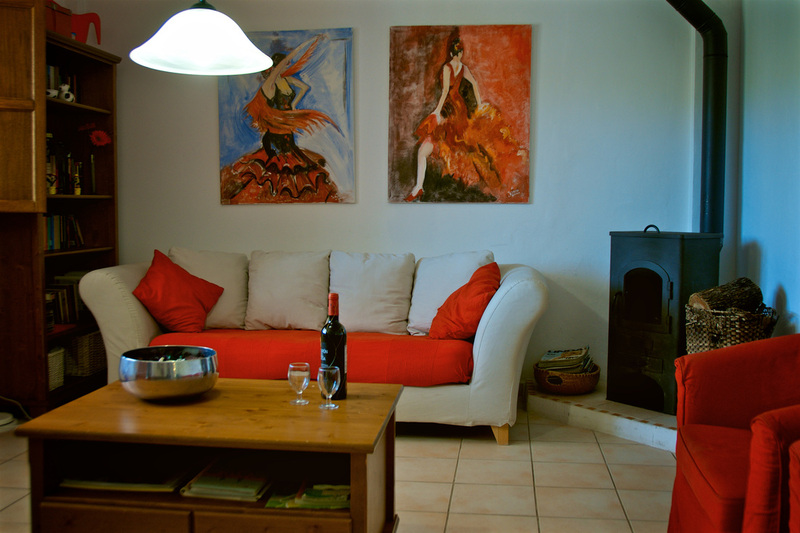 Casa Féliz is suitable for a maximum of 7 persons and a baby. A baby cot is free of charge. We can help you when searching for cheap flights. We have a lot of experience. A car is desired. Car rental can go through us(we 'll get 15% discount for you) at www.hellehollis.com.